Apr. 11–STUTTGART, Germany — A World War II-era bomb discovered near an Army housing area in Wiesbaden has prompted local evacuations, but base facilities are not affected, the military said Thursday. Residents living off post in the evacuation zone, however, were required to leave their homes Thursday by 1 p.m., the Army said. The ordnance was discovered in Bierstadt, east of the Aukamm Housing Area, garrison officials in Wiesbaden said in a statement. The device was scheduled to be defused at 7 p.m. by German authorities. The Aukamm Housing Area itself is not in the evacuation zone, but residents along Westfalenstrasse should remain indoors during the defusing, the Army said. Families living off post who are forced to evacuate should prepare to spend the night away from home and take with them personal items such as toiletries and medicine, the Army said. In the event of an extended evacuation, the Clay Kaserne fitness center will serve as an emergency shelter. Cots will be provided. Traffic in the area also will be rerouted, possibly causing delays. “Work directly with your supervisor or chain of command if you believe you need to depart earlier due to these closures,” the Army said. 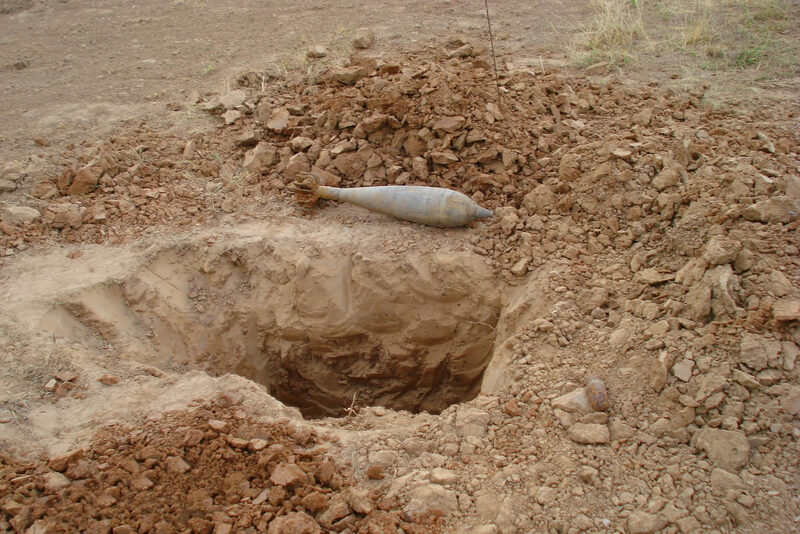 In Germany, evacuations related to unearthed World War II bombs occur frequently. The bomb found in Wiesbaden weighs about 550 pounds, city officials said. The evacuation area extends in a radius of about 2,000 feet. Residents also can take shelter at the Theodor-Fliedner school on 15 Biegerstrasse. A map of the evacuation zone can be found here.